The Federal Aviation Administration’s Aerospace Forecast projects that the number of small unmanned aerial systems, also known as drones, in the U.S. will increase from 2.5 million in 2016 to 7 million in 2020 (4.3 million hobbyist and 2.7 million commercial). The updated estimate also reflects the FAA’s reports of a dramatic increase in sightings of drones by citizens, pilots and law enforcement, from 582 in the six months between August 2015 and January 2016 compared to 764 in the previous 10 months between November 2014 and August 2015. The rapid proliferation of drones presents an extraordinary regulatory challenge on the local, state and federal levels. 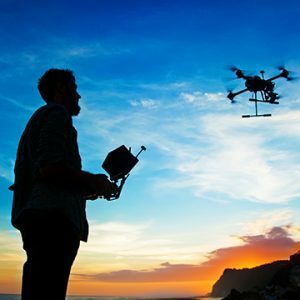 One of the most pressing issues for society and local governments is addressing privacy concerns that individuals raise related to the images, footage or other information that can be captured through drone use. The FAA is tasked with ensuring that drones are operated safely within navigable airspace, but the FAA has declined to address the privacy rights of citizens on the ground. Instead, state and local governments are responsible for addressing privacy concerns raised by members of the public. Local governments face two key questions – what are the legal boundaries and limitations for regulating drones at the local level and what are the possible protections that local jurisdictions can adopt against invasive drone use? For an analysis of the current regulatory environment, please click here to read “Privacy Expectations in an Era of Drones,” an article published in California Litigation magazine by Meyers Nave attorney Kristopher Kokotaylo.